As the leading local choice for windows, mirrors and glass doors in Wimbledon, South London Boarding and Glazing are delighted to offer our clients an inclusive service range built on our many years of valuable trade experience. 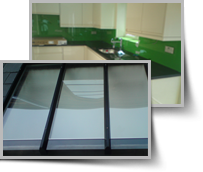 Our extensive product range is ideal for properties of any size and we are proud to serve our local area as the leading supplier of sheet glass and double glazed units in Wimbledon, Croydon and Sutton. Experience allows us to serve our customers better and with our glass repair company in Wimbledon approaching the 27th year of trading, we believe that our business has found the perfect blend of high quality workmanship, top quality products and unbeatable customer service. South London Boarding and Glazing offers flexible working hours and we will always be there whenever emergencies arise with our renowned 24-hour emergency window boarding services in Wimbledon. Make South London Boarding and Glazing your number one choice for glass installations, mirrors and double glazed units in Wimbledon.